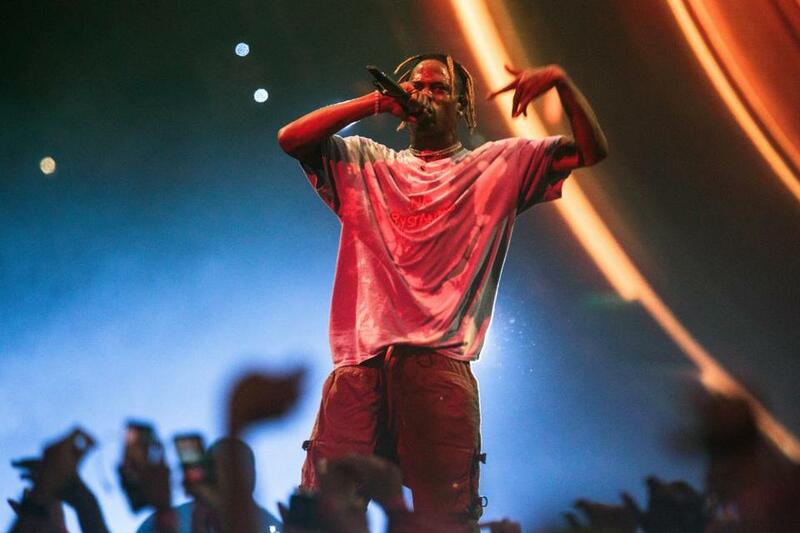 Hip-hop star Travis Scott is headlining one of the three days of Boston Calling. Emo rap-reggae pioneers Twenty One Pilots, psychedelic rockers Tame Impala, and hip-hop royalty Travis Scott will headline this spring’s Boston Calling music festival, organizers announced Thursday morning, ending months of speculation over who would be named the top acts for the fest's landmark 10th edition. Scott’s performance — expected to carry over elements from his ambitious “Astroworld” tour — will mark his Boston Calling debut; Twenty One Pilots last appeared at the fest in 2014, while Tame Impala played the following year. Scheduled for May 24-26 at Allston’s Harvard Athletic Complex, this year’s fest boasts some of mainstream pop’s biggest names, including “Dirty Computer” polymath Janelle Monáe, Irish-born blues brother Hozier, and chart-topping EDM duo Odesza. Americana envoy Brandi Carlile, nominated for six Grammys this year, is scheduled to perform, as is rapper Logic, indie-folk band Lord Huron, and French iconoclast Christine and the Queens. Solomon’s particularly excited organizers could lock in neon-drenched pop nonpareil Marina (formerly known as Marina and the Diamonds), who’s become something of a patron saint to Boston Calling since playing its inaugural weekend and returning for its fifth incarnation. Elsewhere, “Be the Cowboy” trailblazer Mitski and teen prodigy Snail Mail are carrying the torch for intimately anthemic indie-rock; expect DJs Chromeo, Mura Masa, and Snakehips — on the other end of the genre spectrum — to transform the fest grounds into a stadium-sized dancefloor. Fans of more charged-up rock-band antics can look forward to Greta Van Fleet, Rainbow Kitten Surprise, White Reaper, and an impressively full-scale Australian invasion (Tame Impala aside, Gang of Youths, Skegss, Rolling Blackouts Coastal Fever, and Easy Life are all also heading up from Down Under). Maybe superstar combos are your thing. In that case, there’s no bigger question mark on the lineup than Big Red Machine, an experimental collaboration between Bon Iver’s Justin Vernon and The National’s Aaron Dessner, though another intriguing match-up will find Mos Def and Talib Kweli combining forces as hip-hop duo Black Star. And true to form, the fest will also sample an array of local flavors, like alt-rock perennials Guster, indie-rockers Pile, Carlisle-bred bedroom-pop breakout Clairo, and DIY up-and-comer Sidney Gish (currently a senior at Northeastern). Rounding out the music schedule: Anderson .Paak & The Free Nationals, Sheck Wes, King Princess, Tank and the Bangas, Denzel Curry, Yaeji, Princess Nokia, Ravyn Lenae, Young Fathers, Superorganism, Turnstile, SOB x RBE, Cautious Clay, Shame, Pale Waves, Dessa, Kilo Kish, Sasha Sloan, Naeem, and Adia Victoria. Though it’s forgoing a film festival component this year (actress Natalie Portman curated one last May), Boston Calling has doubled down on a broader “comedy and entertainment” section. “Saturday Night Live” cast members Michael Che and Melissa Villaseñor, Milton-bred actress Jenny Slate, and “Portlandia” star Fred Armisen are the biggest names in a comedy program that will also include Sam Jay, Marina Franklin, and Lamont Price. Grammy winner Imogen Heap is expected to present a spoken-word performance using high-tech gloves that produce sound by capturing movement and hand gestures. A limited number of three-day general admission, VIP, and platinum VIP tickets are now available at www.bostoncalling.com starting at $249; a new tiered pricing structure means ticket prices will increase gradually as tier levels sell out and the fest approaches. Isaac Feldberg can be reached by email at isaac.feldberg@globe.com, or on Twitter at @isaacfeldberg.